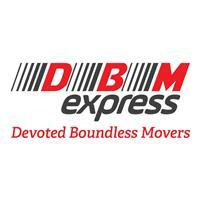 DBM Express - Removals/Storage based in Romford, Essex. We are a London based Removal Company.With a fresh start, ambitions and determination we are here to bring up a quality service. Quality that with the pasing of time raised us up and built its own reputation. We want to assure and reassure all our customers that over the past years we learnt and we can now say that we have the knowledge and the experience so that the quality of the service will meet and exceed your standards. All our movers and packers are trained to deliver you a stress free move. We are professional and we justify our company with all the necessary elements including liability insurance, cargo insurance and others. It is the only way of respecting our clients and respecting the employees, meaning us. A collaboration with us has to be and will be stress-free, smooth, professional, punctual and reliable. We cover all London area and no job is too small or too far for us. Moving home is the start of a new adventure. We understand that our customers have different needs so at DBM Express we offer a wide range of services to suit your needs. We specialise in planning flat, house and office removals and our aim is to make things simple while the whole process will be explained to you. Before the move, we’ll visit you at home –FREE, No-obligation SURVEY– to discuss all your requirements and get a detailed, fixed price entirely based on your needs and requirements, a quote tailored for you. Our Move Managers will plan every detail. Once your property has been seen the quote stays valid for 60 days, so you can take your time to decide. · We remove windows or doors for access as well as putting them back afterwards. - We provide prefessional cleaning services. Packing your house to move can be stressful process and that is why DBM Express offers you a full packing service to ease the pressure. And this is not all, we can also unpack everything for you and de-clutter your new home of all the boxes and wrapping that has been used during the move. We pride ourselves of being Eco-friendly and we reuse as well as recycle our materials. We do it the way you like it and any special intructions that you have you only need to pass them over to your Move Manager and we will look after your requests. Let us move you to your new home and we guarantee your satisfaction! All of the London area.